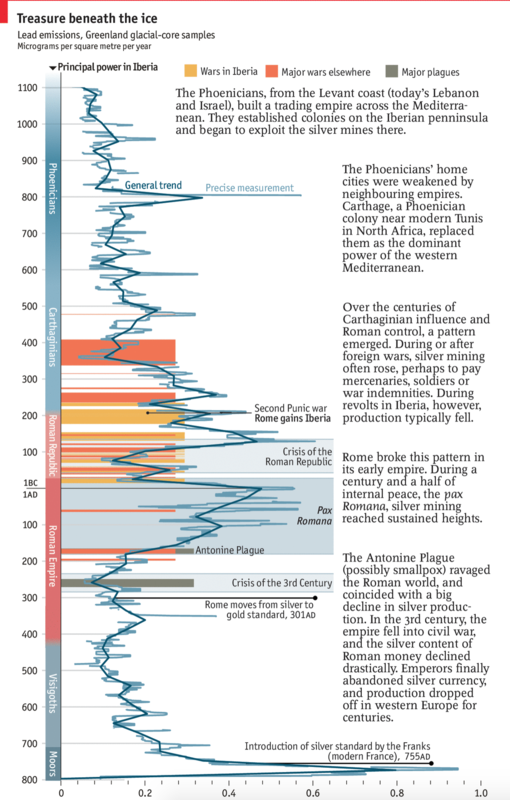 A few weeks back now the Economist posted a graphic about the link between lead, silver, and the rise and fall of the Roman Empire. But not in the way you probably think. Instead, they graph the appearance of lead deposits in the glaciers of Greenland. I believe that final Iberian power is meant to be the Moops. For the full explanation you should read the short article. But this piece was right up my alley. We have ancient history, economics, science, and a timeline. And all in one neat little chart. Credit for the piece goes to the Economist’s Data Team.